Party season is on its way, so it’s time to up your game if you plan to host a gathering. Whether you’ve recently gone vegan, have a whole heap of vegan friends or just one or two that you aim to surprise with some fab canapes, make sure your party food is top notch and vegan-friendly. 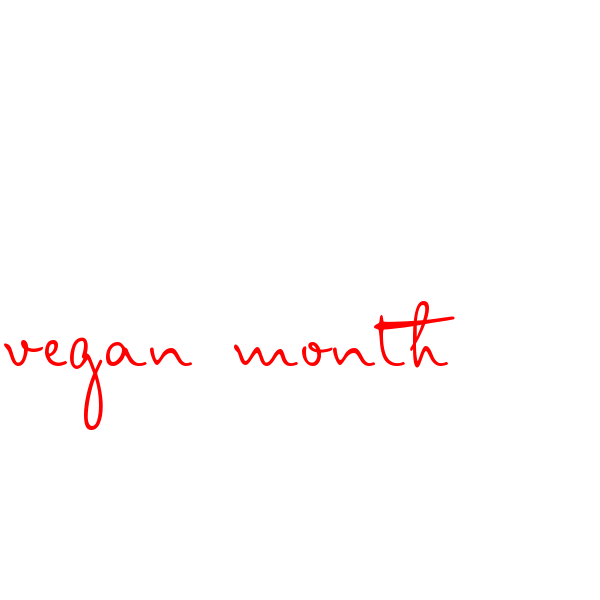 It’s not enough to have a couple of vegan recipes you come back to again and again. Party food needs to be special, small enough to eat with a glass of wine in the other hand and varied so that your vegan guests don’t feel like they get just one or two options. Triangles of pastry are a great way to get around the problem of picking up finger food. Grab a corner and dip into a tasty sauce and demolish in two bites. While vegetable samosas are always a hit, it’s good to think outside of the box sometimes. 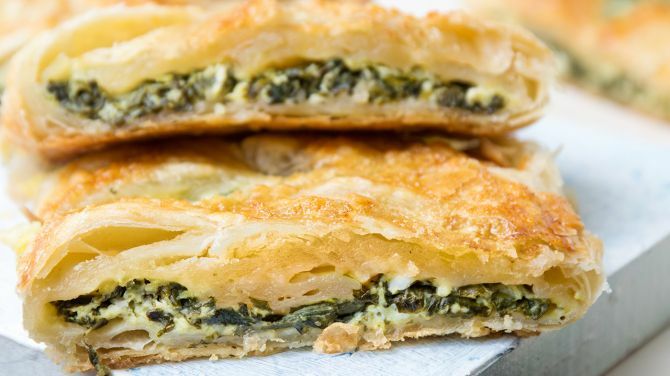 The classic Greek combination of cheese, spinach and filo is hard to beat, so it’s a good bet if you can recreate it without the animal products. The Vegan Larder does this with a mixture of tofu, cashews, miso and nutritional yeast, which when added to the spinach and lemon juice tastes pretty much like the original. Chicken wings are a firm favourite at parties, so you just know a vegan alternative will go down a storm. 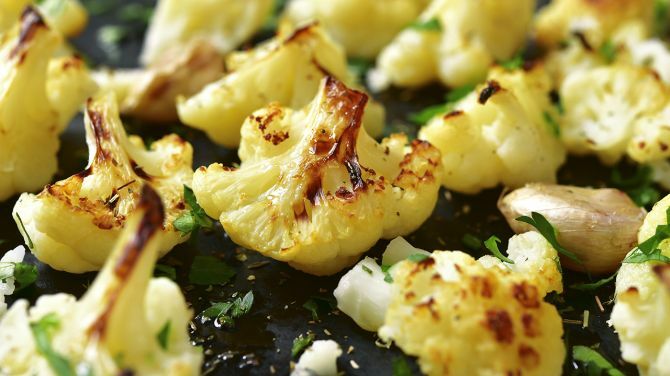 Cauliflower is a popular replacement for the meat and takes on all the lovely flavours you add to the mix. There’s also so many things you can do for a dipping sauce that you can take it any way you like. Check out this recipe from Veggie Desserts – it’s not a pud, but we’ll forgive them – for a great place to start. Don’t be scared to mix it up a bit with this recipe and add the stuff you love to make it your own. 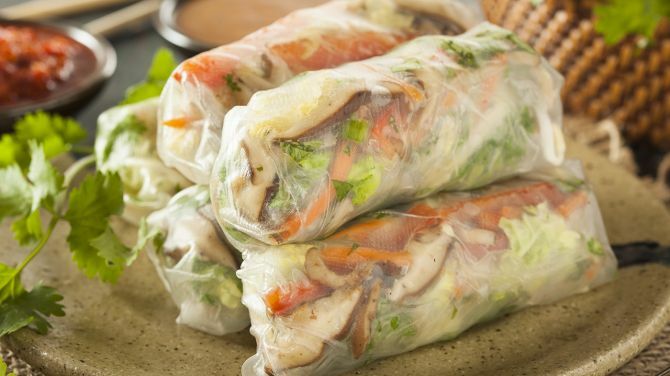 Spring rolls are the ultimate finger food and the Vietnamese variety are a bit lighter, as the heavy pastry is replaced with delicate rice paper. 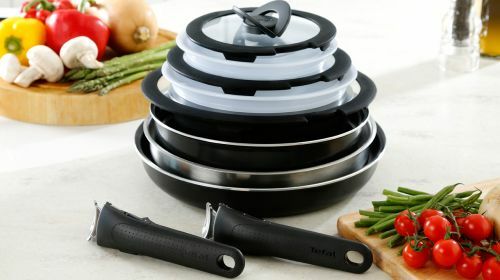 Inside, you can stuff them full of fresh veggies, making them an obvious choice to serve at a vegan party. To learn the technique and see which veggies work well, look at The Veg Space’s recipe. She uses peanuts and sesame oil in her Vietnamese spring rolls to give extra flavour and bite, but these can be left out if you have nut allergies to consider. Hummus is a party must-have, but the chances are your vegan friends have had loads of this dip in their time. That means they’ll be able to spot a good hummus at five paces, so make sure yours makes the grade. 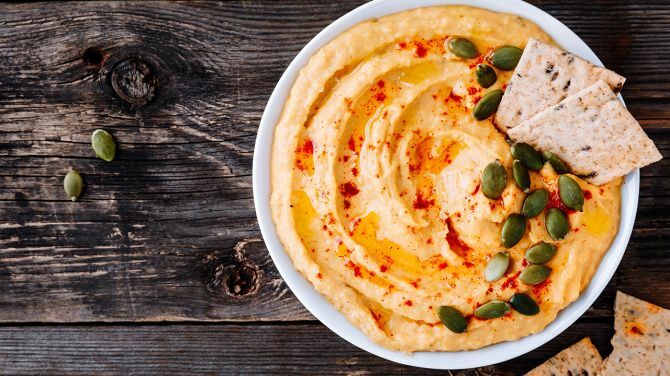 If you don’t know where to start with sexing up your hummus, Love Food Nourish shows you how with her roasted butternut squash and turmeric hummus. Once you’ve started added yummy ingredients like these, you’ll never never eat plain hummus again. Every party needs something sweet to finish and aquafaba is the ultimate saviour for vegan desserts. If you haven’t discovered it yet, aquafaba is the liquid that comes in a can of chickpeas and can be beaten up to the same consistency as fluffy egg whites. Make sure you save it when making your party hummus. 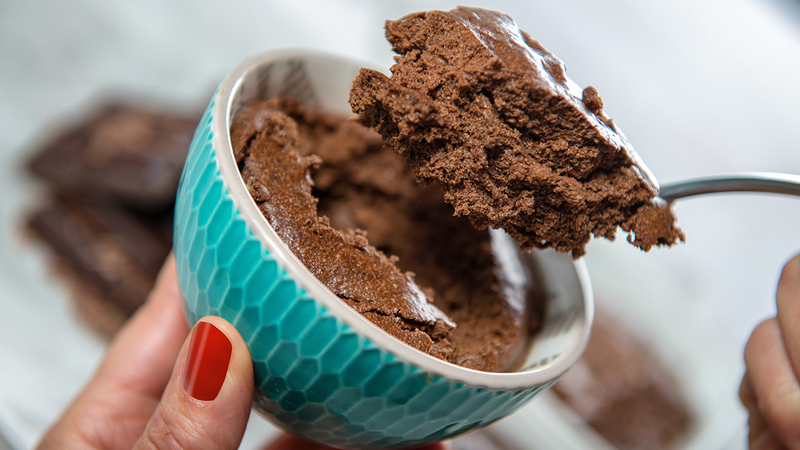 A little pot of chocolate mousse makes a tempting sweet canape, so follow Lazy Cat Kitchen’s recipe to get it right with aquafaba. Once you start using it, you’ll be hooked and trying out all sorts of things with this mad chickpea water. 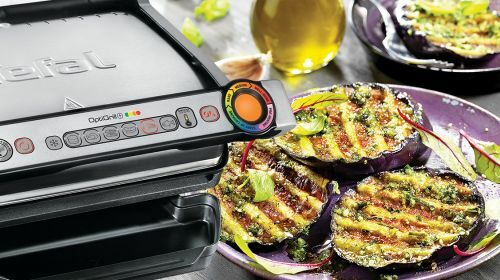 With the versatile OptiGrill, it's easy to get gourmet veg!